I announced the Fulfillment Project to my family at dinner time. When I say I announced it, I mean I squeezed it in between one of Child #2's endless stories about Star Wars. "And then I said I was going to be General Grievous but Daniel said General Grievous isn't part of the rebel forces except if you know that Count Dooku is a Sith lord than that actually makes him part of the rebel forces because..."
Our dinners aren't this cheery. ﻿ He paused for breath giving me time to say, "I have an announcement." From the top of the basement stairs where Child #1 was pouting about what was being served for dinner, a voice shouted, "I don't care about any announcements unless you're going to say dinner isn't pasta with mushroom sauce." "I want to hear your announcement," said my husband so I quickly outlined the basics. "Hmm," he said. "I'm a little worried about how I'm going to be portrayed." I started to tell him more about the book but we were interrupted by Child #1 who had made herself a peanut butter and jelly sandwich and decided to join the rest of us. Later, that night I thought about our dinner. Family dinners. They're supposed to be the key to happy fulfilled families, right? How could I organize our lives (or at the very least, our family dinners) so they don't leave me feeling tired and grouchy. I consult the book, my happiness bible and note that Gretchen started her project by creating Twelve Commandments as the guiding principles for her happiness. I read them over and have a miniepiphany. Gretchen and I are going to have our very own Julie and Julia moment. Gretchen Rubin has written the cookbook for her own happiness and so, given our similarities I'm willing to bet many of her recipes will work for me. The first of her Twelve Commandments is "Be Gretchen". I think about this. It's really just a twenty-first century version of, "To thine own self be true." How can I put this into action and how will it help to push me to the upper end of my happiness range? Next up, Johanna thinks about how she can better "Be Johanna." 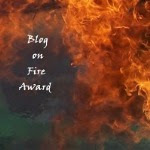 And yes, I promise that's the last time I'll refer to myself in the third person on this blog. What's wrong with pasta and mushroom sauce? And I admit, we watch sports shows during dinner, so conversations are limited to commercial breaks. Your dinner sounds like ours :-) And I like pasta with mushroom sauce! Alex and Sarah, I know!! It was good. What's wrong with that child?? Brenda, hopefully! Peaceful family dinner seems like the holy grail! Btw, stopped by your blog today and it locked me out to commenting. 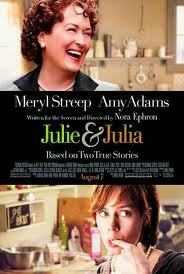 Funny story: I started blogging because of Julie and Julia.